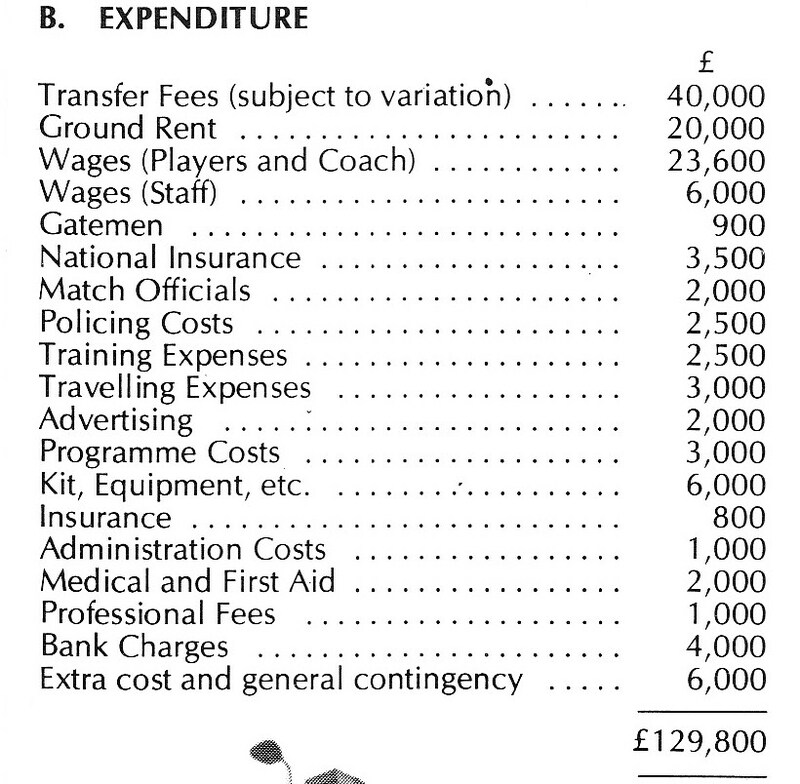 Mansfield Marksman in their application to the Rugby Football League presented what appeared to be reasonable projections on income and expenditure. The club produced a balance sheet that seemed to address any concerns regarding the expected loss and how it would be dealt with. 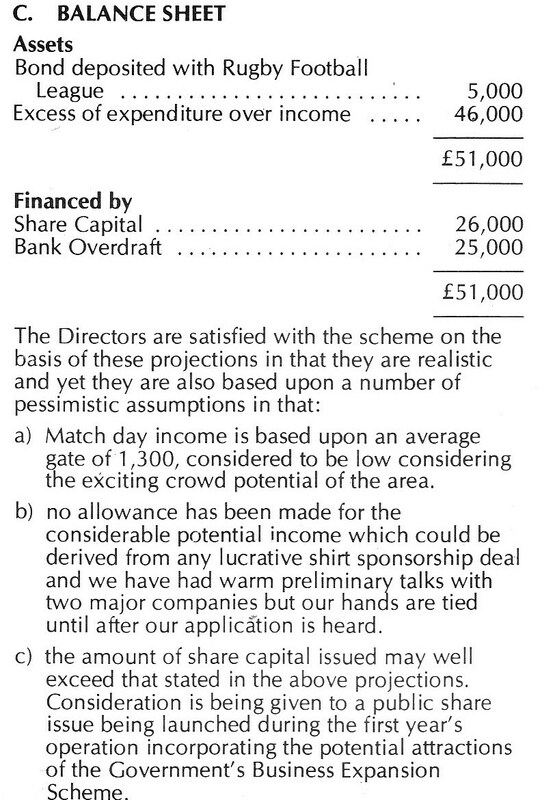 The Directors make it clear, in the notes the accompany the balance sheet, that they were confident that the maximum loss would be no greater than £51,000 and that if the club had a successful season the 1984/85 deficit could be considerably less. 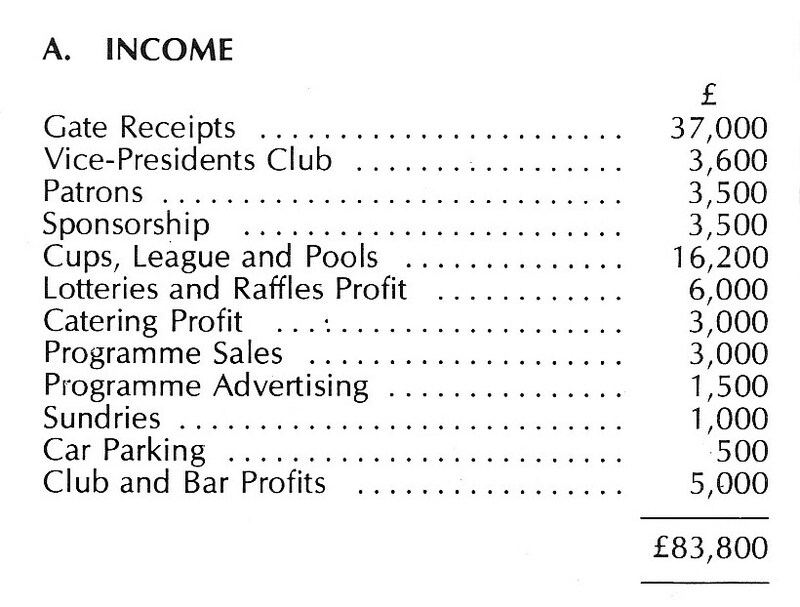 The first home game, on Sunday 9th September 1984 against Wakefield Trinity, produced an attendance of 2,291 but unfortunately, despite winning eight of their first nine games, attendances declined steadily. 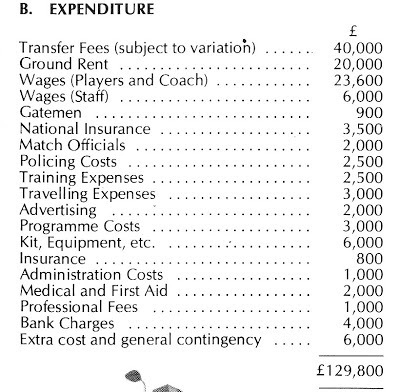 In the second half of the season there were often fewer than 500 spectators attending home games. The attendance against Rochdale Hornets was recorded as only 321. 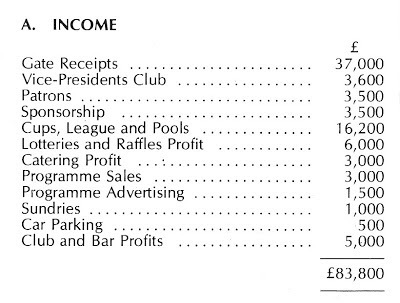 Mansfield Marksman lost £90,000 in its first season, a much greater loss than had been predicted. How did the club respond?